Located at the edge of Soaktae Forest Mountain, Hin Chang Si is the amazing place where you can witness the sparkling sunrise and dazzling sunset. At the View Point, you will get to see a huge rock ground with the skull-like rock based on the top. However, you will be able to get the panoramic views of Ubonrat Dam, Phu Kao mountain, Phu Viang and verdant forest. During winter, the mists and fogs are seen floating above the water surface; which can offer you a scenic vista. Chong Chom Border Market is located around 70km from Surin and just 2km away from the border of Cambodia. This amazing market deals with selling a wide range of goods like clothes, kitchen appliances, tools, electronic and electrical goods, food, handbags and many more. Situated in the Northeastern Thailand’s province Surin, Phanom Sawai Forest Park is just 20km away from the city centre. This park is famous for the three peaks (Phanom Preah, Phanom Krl, Phanom Srei) well-known Buddhist statues and the stunning views of the surrounding countryside! It’s a fresh water lake with an area of 123 square km. Usually, Nong Han Lake gets water from many small streams in the area. However, Nong Han Lake is the one and only water source for plantation, livestock as well as fishery purposes; which are even the main occupation of the inhabitants in Nong Han. Based in Phu Phan Noi Mountain, Phu Foi Lom is located around 600 metres above the sea level. Well, Phu Foi Lom name is derived from the lichen species; which are found on the branches of big trees. But, currently you will find them in less number due to the deforestation and now it has established as an ecotourism spot. This place consists of a prehistoric park, including dinosaur sculpture, fossil museum and study forest trails of dry evergreen forest, dry dipterocarp forest with savannahs, caves and waterfalls. 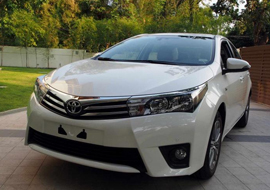 Korat Car Rental is a reputable car rental company providing a wide array of self-drive cars and chauffeur-driven cars in North Eastern Thailand. We have an extensive selection of well-maintained, picture-perfect cars, trucks and 4WD vehicles to fit the unique requirements and budget of customers. Choose Bangkok airport car rental from Korat Car Rental and enjoy visiting these captivating sights in North East Thailand. For more details regarding our car rental facilities, connect with us on @KoratCarRental!